The CEO of Smartty’s Management and Productions-Ibrahim Selassie has submitted a new proposal to the President of Ghana-John Dramani Mahama, hoping to get the president to take his exercise more serious as the country walks into an election year. Smartty’s Management and Productions is the company which beautifully re-branded 116 buses in Ghana with photos of past and present presidents at a low cost, just 3.6 million cedis. Per the new proposal obtained by ScrewLife.Com, Ibrahim Selassie has promised John Mahama a healthy body—something like that of the body of Arnold Schwarzenegger when he was in his prime. “It’s going to be a new tough year with elections at the corner. Therefore, the president needs to be fit as he will be running from one rally grounds to another. It should not just be about expensive foods, but his fitness is paramount. Our ever expanding company proposes a 3 days in a week one-to-one gym session with President at the comfort of his own home or office, and for this, we will charge 1000 dollars per hour—well below what any professional will charge for the same service,” the proposal said. The over 20 pages proposal also outlines the benefits the President will obtain should he decides to sign a minimum of one year contract with Smartty’s Management and Productions—and one of the benefits include, having the CEO Ibrahim Selassie personally being the president’s gym instructor instead of any if its many sub-contracted instructors. We hear the presidency is excited about this proposal—because, President Mahama needs to indeed get fit for the race ahead. 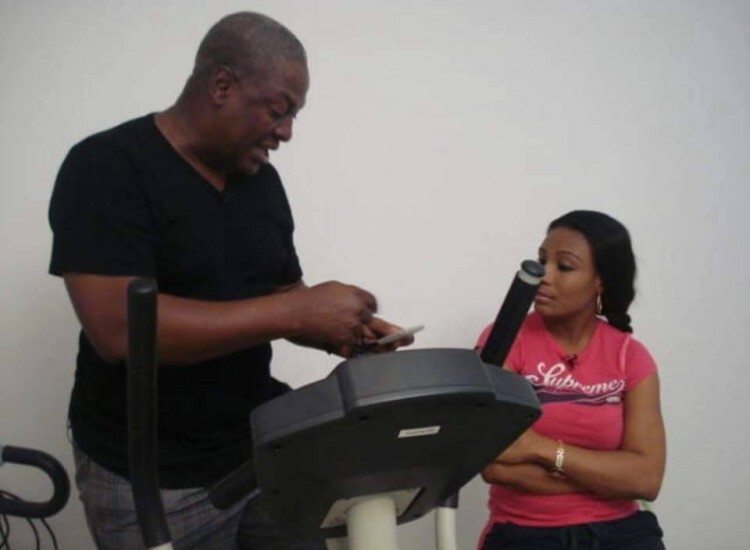 Apparently, President Mahama has already held two trial gym session with Ibrahim Selassie and he loved it, especially her warm company.